I browsed through my pictures here in my laptop. Got this one for posting. This was taken in Albuera, Leyte, in a local government owned and managed mountain resort. During that time, the resort still had the zipline as one of their adventure experience. The super typhoon Yolanda damaged this zipline and I heard the resort did not restore it yet. The serenity of the place and the panoramic view of the mountains are plus factors of the location of the resort. I hope to be back one day in this resort. Every October there is a celebration in cities dubbed as "Octoberfest". What I remember of this feast is that there is a line up of events for 16 days to celebrate the month. One activity I attended was a contest of the local wines where I was once one of the board of judges. I had to judge the local wines as to taste, packaging, and promotion. It was sort of a challenge tasting the local wines which have little alcohol content. After the judging, I felt tipsy. A party was held after that with a live band, a special party when it is played with a live band. What with the guitar, saxophone, keyboard, drums and bass the partygoers could not resist dancing including me who was already tipsy. From wines to dancing, Octoberfest is what really it is. Musical bands are in during October. Hence, for musical instruments, interested people can Check Out MF's bass trombone Selection to choose for the best value of their money. Last month, I had the chance to travel to the province of Ilocos Sur and Ilocos Norte. It was my first to Ilocos Sur and my second time to travel to Ilocos Norte. The recent one was very memorable. It was full of fun and excitement. The long ride which took about ten hours to get to Ilocos Norte was very relaxing on a tourist bus from the Manila Airport. In Ilocos Norte, I had the chance to see the famous wind mills, the visit to the residence of the late President Ferdinand Marcos, unfortunately, I was not able to enter the museum as it was close for the preparation of his supposed burial. The taste of the famous empanada, a taste that is very different from the empanada in my city, was also an experience. 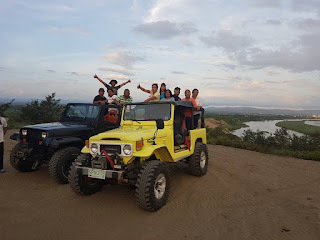 The exciting part of the trip in Ilocos Norte was the 4 x 4jeep ride in the sand dunes of Ilocos Norte. It was an exhilarating adventure to ride in the 4 x 4 jeep climbing up the steep ridge and gliding down the road towards the sea. The very wide desert was so amazing, it was my first to trod my feet on it. I felt like being in the desert of Arizona and or in Dubai. The trip to Ilocos Sur was also a very memorable one. I met and chat with the very young City Mayor of Vigan, Mayor Carlo Singson Medina. I was interviewed by the local tv media as to my group's purpose in visiting the City of Vigan. The city is very rich in cultural heritage as visible seen in all the buildings that are constructed with the same architectural design. 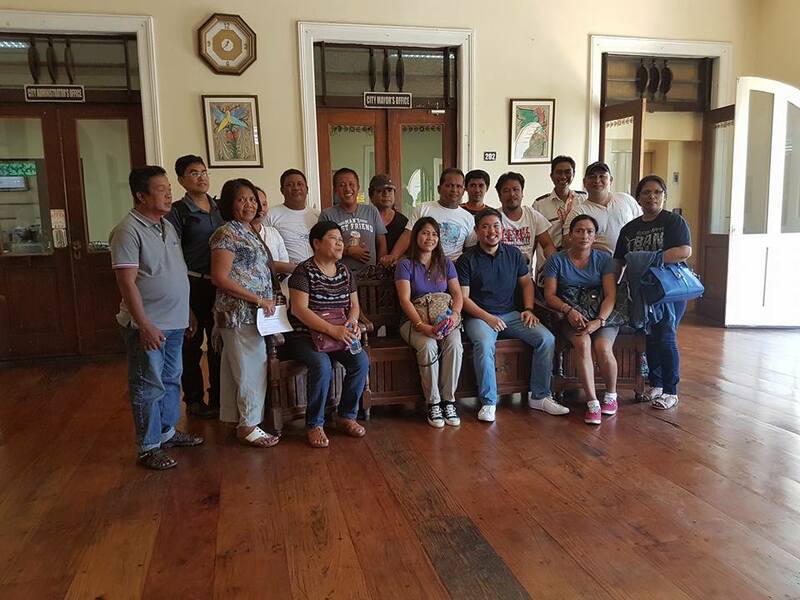 The calesa ride to the old houses in Vigan City was a hit back, a ride that makes one think back of the past during the time of the late Philippine hero, Dr. Jose Rizal. I wished to have walked on foot on this place during the night but maybe next time. Nobody did notice at home that our guitar is missing. Had it not been during the power brown out that recently happened at night, we would have discovered this loss. During power brown outs it has been our habit to sing together as a family with my daughter accompanying the guitar. She is very good in acoustic guitars. Brown outs gather together my children at the living room out of no choice especially when their electronic gadgets ran out of battery life. No one household member knows who borrowed the guitar or whoever got it so I think I have to buy a new one, a better one like the PRS Guitars that are available now in stores. The quality of PRS guitars is good that I am sure to have the best value of my money. I had to make sure this time that it does not get lost without anybody noticing it. Smoking in public places is really a no-no. The attention of people who smoke in public should be caught immediately in order to educate them, for first-time offenders about its prohibition and or to retool them if these smokers in public places are second time offenders. The active smokers like them need to be educated that passive smokers, like me and other people who don't smoke, are posed with health risks by their indiscriminate smoking. The law that prohibits smoking in public places must be enforced strictly that all people who smoke may have their proper place to spew their smoke into. The law enforcers are seemingly lax on enforcing the arrest of flagrant violators. Ordinary people who sometimes have the guts to call the attention of these active smokers, most often than not, get retorted by philosophical answers of these smokers. The government has put up proper labels in cigarette packs showing the pictures on the ill effects of cigarette smoking, increased the tax on cigarettes but these are not enough motivators to stop or smoke in moderation. Enforcement of the law prohibiting smoking in public places should be totally banned and to punish the offenders every time they are caught violating the law.